Militants increased shelling in the Mariupol sector. 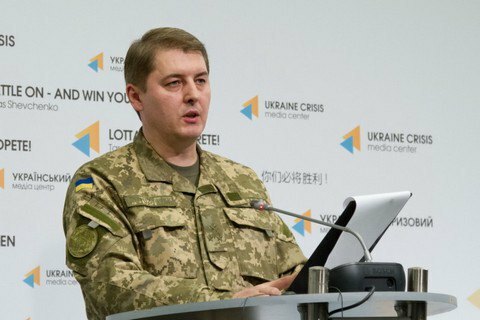 Over the past day, one Ukrainian soldier has been killed and another wounded in the antiterrorist operation (ATO) area in Donbas, the Defence Ministry's spokesman for ATO issues, Col Oleksandr Motuzyanyk, told a briefing on Tuesday, 6 December. Over the past 24 hours, the Russia-backed militants have launched 26 attacks in the direction of the Ukrainian military in Donbas. The ATO HQ said that on 5 December, the militants increased shelling in the Mariupol sector. From the beginning of the ATO in Donbas to the end of November, 3,064 Ukrainian servicemen were killed and 10,753 wounded in combat.